This 2014, Century Tuna's Superbods Challenge is made even bigger with new celebrity endorsers and weight loss challenges. Joining the roster this year is John Lloyd, The BNO Boys: Sam YG, Toni Toni, Slick Rick and of course, Anne Curtis. John Lloyd along with BNO aim to inspire loyal customers of Century Tuna to join the Superbods Challenge. For 6 weeks, they will undergo the Superbods Diet and Workout Plan designed by top Nutritionist Nadine Tengco and fitness trainer Coach Jim Saret. According to Ms. Tengco "Abs are made in the kitchen". It doesn't matter how many crunches you do, you won't get those dream abs without following a correct diet plan". It is imperative that we are careful about the food we ingest and she made sure that all her recipes are healthy and fit to shed those extra pounds especially around the belly. Century Tuna already contains Omega 3 which helps burn body fat, shrink abdominal fat cells and stop genes that trigger inflammation on belly fat, in addition to promoting a healthy heart. Lucky for us, Century Tuna has made John Lloyd's 6 week meal and workout plan available to the public on their website: http://www.centurytuna.ph/superbodschallenge. The recipes and exercise are super easy to follow making it all the more inspiring to try and work at that dream body in time for "La Boracay"! Toni, Slick and Sam have already been on the diet for a few weeks and they have already lost an impressive amount of weight and inches around their gut. If they can do it, I can too and so can you! Cheers to a fit and healthy 2014! 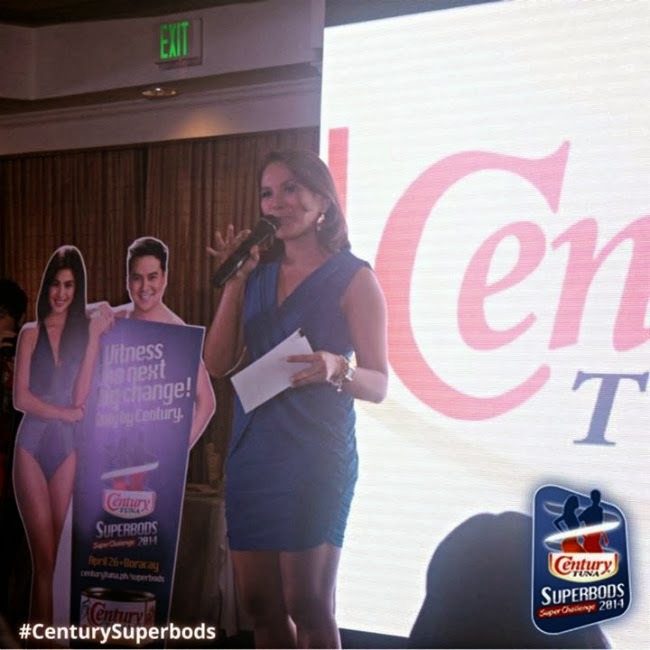 Find all you need to know about Century Tuna Superbods 2014 by visiting their website HERE.